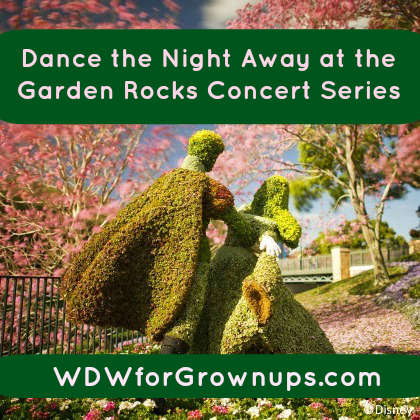 POSTED: Tue, 01/20/2015 - 18:00 | POSTED BY: Traci C.
Disney has announced the Garden Rocks Concert Series for the 22nd annual Epcot International Flower and Garden Festival. This year is the debut year of the Garden Rocks Concert Series and the lineup includes a bigger variety of artists and decades than in previous years. The Epcot International Flower and Garden Festival runs March 4 through May 17 and the new Garden Rocks Concert Series kicks off March 6-8 with the Gin Blossoms. New artists to the festival include Pablo Curise and Little River Band, while artists who have played the Food and Wine Festival will debut at the Flower and Garden festival this year including En Vogue and Taylor Dayne. The Garden Rocks Concert Series takes place every weekend of the festival at the America Gardens Theater with shows at 5:30, 6:45, and 8 p.m. on Friday, Saturday, and Sunday. Admission to the Garden Rocks Concert Series is included in your Epoct admission. The artists scheduled to play are subject to change. Are any of your favorite artists coming to this year's Flower and Garden Festival? Let us know which show you're excited about. So interesting that they changed the name of the concert series this year. Your shared information is unique and helpful for me because next I was thinking to visit the Epcot in March. In these days I am free from the college and our vacations will start. Now, I am planning to must visit after reading this unique information. Now, I am going to enjoyvermont ski trips from nyc and after it I set my next visiting spot is Epcot. Any suggestion for my visit or any tip.